Right in the middle of London’s lively Leicester Square is The Empire, a stunning casino with a rich historical background and glamor. The Casino on the Empire Leicester Square attracts sophisticated crowds, making it a very lavish place that possesses an engaging atmosphere. The casino, occupying a space of fifty-five thousand square feet, boasts of offering a Vegas like experience right in the most central part of London. If you love gambling, your best options should be the Casino on the Empire Leicester Square. The casino occupies two magnificent floors, with many tables to gamble and indulge. If you are not keen to play games of cards, you can find a number of slot machines and table games at the street level floor itself. 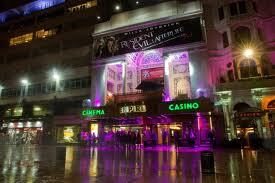 The casino on the Empire in Leicester Square within the structure of Empire Theater is of historical significance. It was opened in1884 as a West End variety theater and was the site for holding a number of ballets. The theater underwent a revamp in 1887 to become a renowned music hall and renaming as the Empire Theater of Varieties. Even today it hosts ballet shows and musical releases regularly. The existing Empire building contains a casino over two floors. It forms a major attraction for tourists visiting the city. Though there are quite a few places of entertainment on the square, the casino on Empire holds its special significance due its location within the Empire Theater. The year 2007 saw the Casino at The Empire opening with great fanfare, having converted the old Victorian hall of music, or their erstwhile ballroom to four bars, two restaurants, and thirty gaming tables, with a typical Las Vegas flavor with a bevy of beautiful showgirls, mirrors, crystals and a glitzy interior that takes your breath away. London Clubs International Limited, incorporated and registered in England, and part of the LCI Group that includes their parent company Caesars Entertainment Corporation, owns this casino. The Caesars Group manages the operations of the Casino at The Empire. 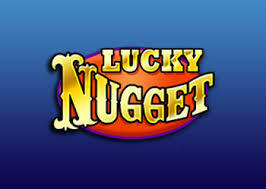 This group, among the major operators of gaming venues worldwide, and operating casinos in places like Las Vegas, assures you of providing an excellent gaming experience as always, if you opt to play at their casino based in London. Concessional rates on patronizing 9 Las Vegas resorts which include Planet Hollywood and Caesars Palace. Whenever you play or eat and drink at any of the eight casinos owned by the group, you earn Reward Points which you may spend on food, drinks plus a large range of branded goods available at all properties of Caesars including Las Vegas. The Casino at The Empire offers some of the widest collection of table and card games. So, whatever is your favorite game, you will surely find it here. Here is a general idea of the different kinds of casino games that are always on offer at the Casino at the Empire. Availability of more than thirty tables goes to ensure that you will get a seat and experience top class gaming that the casino prides in offering to all their clients. While enyoing your games in the Casino at The Empire, belonging to the Caesars group, there is a complete menu of Chinese food for you to savor. The menu comprises of vegetarian dishes and matchless dishes prepared using meat and fish. In 1988, Wai, the head chief landed in the UK and his acumen helped him gain the status of chef at The Dorchester Hotel prior to accepting the position of the Head Chef’s of the Empire Casino. Offering 100% authentic dishes, his passion for food will leave you in wondering at the beauty of his creations. There are four bars at The Empire, each offering a completely different experience. There is a Cocktail Bar on the balcony, offering late night essences of Vegas, the Carlsberg Sports Bar plus a bar in the middle of the casino, the Vapor, which always presents a thrilling environment. You will find each bar serving a wide range of wines, spirits, beers and champagnes. The bar at Icon Balcony offers all kinds of cocktails from colorful Cosmos to minty Mojitos. The Chinese chefs conduct their culinary skills watched by the guests through the transparent kitchen screen. WAI, the head chef, takes meticulous care about sourcing authentic ingredients with their special flavors. Their sumptuous menu includes among other things, crispy aromatic duck, pork char sui, beef soup (West Lake) and many more dishes in medium single or share sizes, for an individual or a group/ family. Chef Wai also offers you his delicately flavored and typically southeastern favored dishes like the Kimchee Beef and the all-time favorite of the guests, Pas Pad Thai. The specialty of these dishes is their highly diet conscious configuration of a cholesterol zero percent, carbohydrates below 1 gram and zero % sodium and fat in their noodles. Please pay attention to their special offer of a special menu at a price of $17.